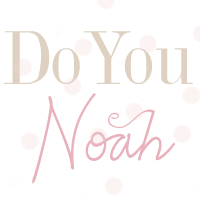 doyounoah: Keisha Leaves/Gets Kicked out of Sugababes! Keisha Leaves/Gets Kicked out of Sugababes! They were my favourite British girl group of 21st century growing up (after Destiny's Child of course!) I loved the way the trio were so unique in looks, singing and dancing abilities. Although they were as pop as you can get, they were always a lot more edgier/street/had more credibility than Girls Aloud and any other manufactured girl group of their time. They had their fair share of tabloid gossip, and media lows. Formed in 1998, the first member to leave the band was Siobhan Donaghy soon after their first album was released and was replaced by Heidi Range. 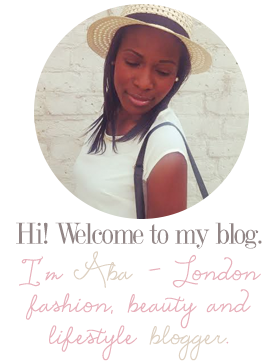 "About me bullying Amelle, not being supportive, blah blah blah. I've let the papers tell lies about me when it comes to stories like that in the past, I've let members talk crap about me and tried to laugh it off because I know the truth, my friends, family and MOST of all GOD. But not anymore. I may come across as a hard nut sometimes, but I'm actually really sensitive and it destroys me to think that people today are going to read that and believe it." "The current line-up of the Sugababes has disbanded. Heidi Range and Amelle Berrabah will continue as the Sugababes and will be joined by new member Jade Ewen. They release their album Sweet 7 on the 23rd November through Island Records. Keisha Buchanan will continue to record for Island Records as a solo artist." "I've had a great time and have achieved more then I ever thought I would.. Although it was not my choice to leave, it's time to enter a new chapter in my life. Now I'm going to take some time to focus on me. I've been in this band for 11 years and I have achieved so much. This is not the end... but the beginning!!!!" "It all started so innocently...a love for music and a dream...look what its become. RIP. I will say this publicly... shame on Heidi for not following Keisha out. But doesn't surprise me a bit." Wow rumours Keisha bullied Amelle, new member of Sugababe, Keisha walking out/kicked out, Mutya exposing Heidi on Twitter this is better than an episode of Making the Band/Maury Povich and Eastenders put together!!! Can Keisha make it alone as a solo artist? On a serious note, its a sad day for Sugababes. I never believed Keisha was a bully and so I truly wish Keisha the best in her solo career. With no original members of the band remaining, I very much doubt Sugababes can move on from this messy break-up..do you? Thoughts! PS I loved this song..oh what a shame! Tyra is like us too! VMA Fashion - Who Looked Great..& a State! Kanye Stole the VMA show..